CEO Thomas Keller announcing Codelco's lowest production figure in five years. Chile’s Codelco, the world’s largest copper producer, said Friday production dropped to a five-year low and its profit fell by half in 2013 as declining ore grades and lower metal prices hit the state-owned miner. According to 24Hours.cl (in Spanish), the company's copper production fell 1.5% in 2013, compared to the previous year, due to lower ore grades, harder rock and slightly more difficult production in deeper deposits. The 1.62 million tonnes of the red metal reported excludes Codelco's stakes in the El Abra and Anglo Sur deposits, but it is the lowest production figure posted since 2008, when it mined roughly 1.47 million tonnes of copper. "This is due to production falls at the Chuquicamata, Radomiro Tomic, Salvador, Andina and Gabriela Mistral (mines), which was partially compensated by an 8% increase at the El Teniente (mine,)" Codelco was quoted as saying. The firm, however, showed some progress in containing costs. Direct cash costs last year fell 0.3% to about $1.631 a pound of copper, helped by lower power prices. Currently the world’s largest copper producer hands all its profits back to the state. The government then decides how much to re-allocate to Codelco, often creating uncertainty in the run-up to the announcement and at times spurring disagreement over how much is ultimately assigned. In December last year, the government handed Codelco $1 billion, which didn’t help the miner much, as the funds essentially amounted to an accounting increase, not fresh capital. Heller said he hopes Chile’s President-elect Michelle Bachelet, who takes office on March 11, will give Codelco the fresh cash injection it urgently needs to counter declining ore grades at its aging mines, as well as to deal with increasing costs and low copper prices. 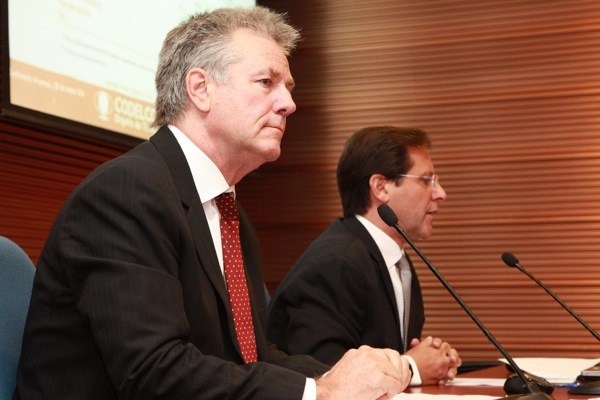 Early this year CEO Thomas Keller said he hoped Chile’s new president Michelle Bacheletwould give Codelco the fresh cash injection it urgently needs to counter declining ore grades at its aging mines, as well as to deal with increasing costs and low copper prices. Chile expects mining investment to reach $112 billion by 2021, figure that includes the $27bn planned by Codelco. By the same year, the country’s total copper production is projected to reach an annual 8.1 million metric tons.